2 inches shorter than the E. Wilson, this slim fit lab coat is perfect for professionals seeking a shorter and slimmer fit without looking like you're wearing a consultation coat. Featuring a handsome notched lapel and M3 dual-performance fabric. 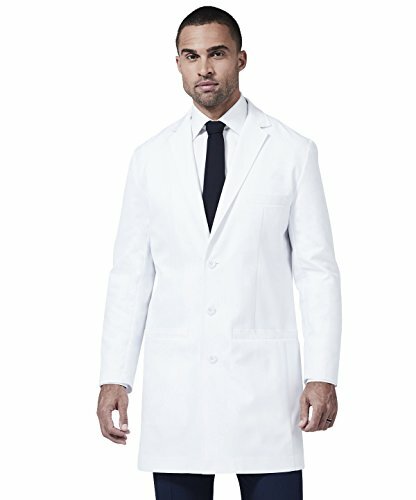 ♦ Three-button slim fit lab coat features a notched lapel and beautiful top stitching throughout, resulting in a refined and elegant garment. ♦ Two outer front iPad pockets are functionally sized and sensibly concealed with our hidden welt pocket construction - a nod to old world craftsmanship.